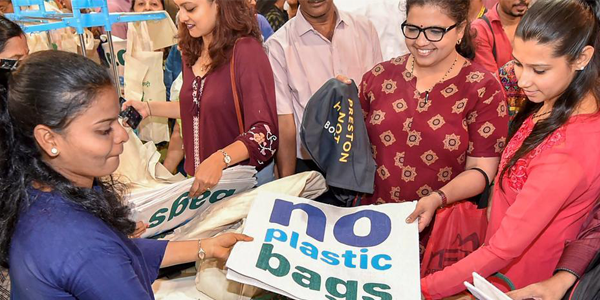 Plastics manufacturers’ associations in 17 districts of Tamil Nadu have resolved to work closely with the State government and the civic bodies to promote a healthy world view of plastics ahead of the State-level ban being implemented from January 2019. At an executive committee meeting here on Saturday, the members said they would launch State-wide awareness programmes regarding recycling of plastic. The top-brass from Tamil Nadu Plastics Manufacturers’ Association (Tapma) and the Plastic Manufacturers Association of Madurai (Plasma) said that they would soon be forming a joint action committee to work with the governing agencies to change the public perception of using plastics. Although laws exist on solid waste management, they were hardly implemented by the enforcing authorities. “If we work together by helping in cleaning, providing bins and recycling through source segregation, the State government, the public and the manufacturers would be in a win-win situation,” he said. Speaking at the event, members emphasised on the need for self regulation and argued that the laws on plastic ban were unclear. Many office-bearers agreed to set up waste management systems in their cities and towns and sponsor dustbins. T. Muthumanickam, president of the Plastic Manufacturers Association – Tiruchi, said that if there was a door-to-door segregated garbage clearing system, corporations would largely benefit. K.K. Khaja Moinudeen, an entrepreneur, said there were many effective methods to recycle plastic waste. Municipal waste consisting of mixed trash could be processed and created as pyro-oil, pyro-gas and carbon black (soot-like material).